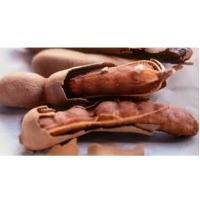 Browse tamarind-seed suppliers by country and region. 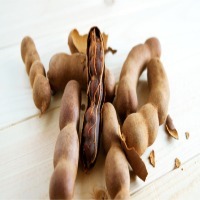 Deliciously tangy and one of the most highly prized natural foods in South Asia, the tamarind – the melodic name of which comes from the Persian "tamar-I-hind," meaning "date of India" – is gaining recognition and appreciation throughout the world. Said to be native to Africa, this exotic fruit grows on exceptionally tall trees of the fabaceae family, such as peas, beans, and other legumes, mostly in the warmer, dryer areas of Asia, Mexico, and India. 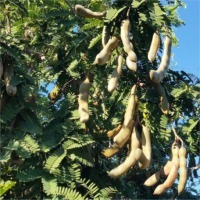 Tamarind trees produce an abundance of long, curved, brown pods filled with small brown seeds, surrounded by a sticky pulp that dehydrates naturally to a sticky paste. The pods look a bit like huge, brown, overly mature green beans. 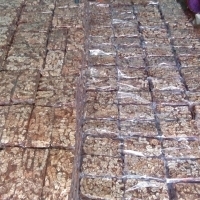 After harvest, tamarinds are sometimes shelled in preparation for export. From there, they're often pressed into balls and layered with sugary water or syrup; sometimes they're salted. Processed tamarind products can be found in supermarkets, but remember that additives can alter the nutritional profile. It’s better to purchase tamarind when it's fresh and still in the pod. Refrigeration is the best way to preserve the freshness for up to several months. Green Leaves International will produce the Tamarind (seedless) good quality from the Forest area. Natural fruit having the sweeten sour taste Pulp. 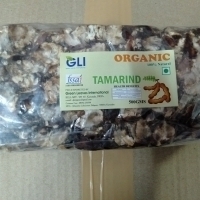 The seedless tamarind is packed in 500 gms and 16 kg cartoon boxes. We are able to supply any qty . Please send your requirements. We are always having the stock. Green Leaves International will produce the Tamarind (seedless) good quality from the Forest area. Natural fruit having the sweeten sour taste Pulp. 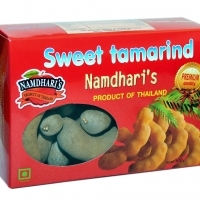 The seedless tamarind is packed in 500 gms and 16 kg cartoon boxes. We are able to supplay any qty . Please send your requirements. Tamarind is a delicious, sweet fruit that has a wide variety of uses and applications, both for medicinal and culinary purposes. It reduces inflammation throughout the body and increase the strength of the immune system. The tamarind juicy pulp is a sticky and fleshy . This is where the nutrition and taste reside ! It is both sweet and sour in taste and can be consumed as a raw fruit, added to desserts once it is fully ripe, or it can be dried and ground into a spice. Tamarind is a delicious, sweet fruit that has a wide variety of uses and applications, both for medicinal and culinary purposes. It reduces inflammation throughout the body and increase the strength of the immune system. The tamarind juicy pulp is a sticky and fleshy . This is where the nutrition and taste reside ! It is both sweet and sour in taste and can be consumed as a raw fruit, added to desserts once it is fully ripe, or it can be dried and ground into a spice. 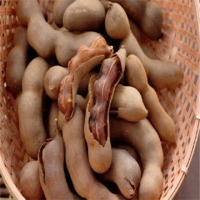 Budansons Agro Exports brings best grade of tamarind having larger juicy pulp and smaller seeds and can export in bulk Shipping : By Air and Sea Packing : By Air- 5 kg Box / As per customer requirement. Short on time? 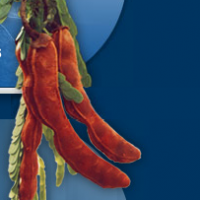 Let tamarind-seed sellers contact you. 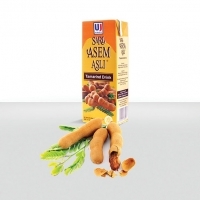 Ultra Sari Asem Asli (Tamarind) UHT Tetra Pak. Port of Loading: Semarang, Indonesia. Note: We could paste sticker on each pack should there is any additional information needed (importer name, information in other language, etc). Please inquire us for further details. 20 X 450 G Or 16 X 1 Pound Or Loose Packing Possible. Supply Via 40ft Container. 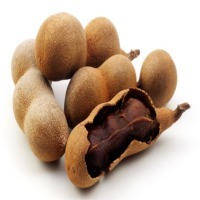 Having 30 years experience in tamarind and its product range, we would be glad to assist you in your need in any manner related to tamarind fruit. 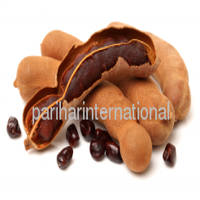 Tamarind Seed : The ripe fruit of tamarind tree is used as a condiment. The tamarind tree produces pod-like fruit, which contain an edible pulp that is used in cuisines around the world. India is the largest producer of tamarind. Tamarind pulp is used in numerous culinary preparations. It is also a raw material for the preparation of wine like beverages. 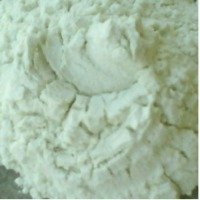 The tamarind kernel powder is found to be extensively used for its sizing properties, in textile, confectionary, cosmetics and pharmaceutical industries. The testa is used in dyeing and tanning industry. The tender leaves and flowers are used as vegetables. In medicine, it is used as appetizing, laxative, healing and anti-helmintic. It is also used against fluorosis. 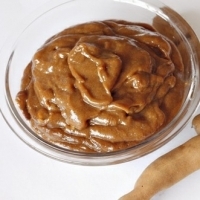 With the help of our experienced personnel, our company is acknowledged as one of the well-known manufacturers and exporters of Tamarind Powder. This powder range is hygienically processed at our highly developed processing unit by making use of high-quality tamarind procured from the certified vendors of the domain. High purity, pungent taste, long shelf life and optimum freshness are the outstanding features of these powders. 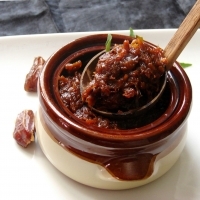 Tamarind Powder is widely used in preparing various cuisines to add taste and flavor. Jaggery, Cane Jaggery, Goor, Kabuli chickpea, desi chickpeas, bengal gram, coriander seed, fenugreek seed, mustard seed, flax seed, kalonji seed, dilseed, tur dal, tuar dal, arahar dal, mung dal, urad dal, chana dal, masoor dal, lentil, pulses, yellow split pea, green split pea, iodised salt, table salt, edible salt, industrial salt, tamarind, Jaggery.